Select a service category and enter your zip code to find service providers nearest you. We'll search within 100 miles of your zip code and display the results for you on the next page. Complete the simple information form below. Select cloud service providers from a list or locate by zip code. Make Me A Cloud® will donate 20% of all profits to Water 4 Kids International to drill wells in Africa and India for those who have no clean water. We feel that the Cloud should be utilized to deliver resources to people who may not have the necessary tools to do some things for themselves. Through technology, we have an opportunity to help hundreds of thousands of people who are unable to help themselves. 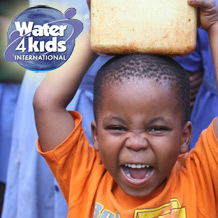 Let's bring clean water and all of its benefits that we take for granted to our fellow man. Let's do it in the name of technology and in the spirit of decency. Let's do it because it's the right thing to do. Let's make them a Cloud.